Omega-3 fatty acids have long been celebrated by doctors and dieticians as key to a healthy heart and a sharper brain. In the last few decades, that promise has been encapsulated in one of America's most popular dietary supplements. Omega-3s are today a multi-billion dollar business, and sales are still growing apace--even as recent medical studies caution that the promise of omega-3s may not be what it first appeared. But a closer look at the omega-3 sensation reveals something much deeper and more troubling. The miracle pill is only the latest product of the reduction industry, a vast, global endeavor that over the last century has boiled down trillions of pounds of marine life into animal feed, fertilizer, margarine, and dietary supplements. The creatures that are the victims of that industry seem insignificant to the untrained eye, but turn out to be essential to the survival of whales, penguins, and fish of all kinds, including many that we love to eat. Behind these tiny molecules is a big story: of the push-and-pull of science and business; of the fate of our oceans in a human-dominated age; of the explosion of land food at the expense of healthier and more sustainable seafood; of the human quest for health and long life at all costs. 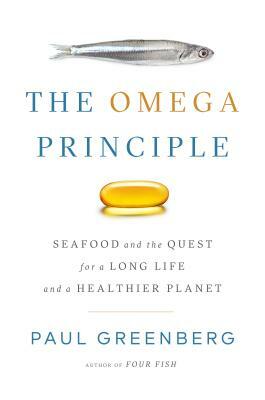 James Beard Award-winning author Paul Greenberg probes the rich and surprising history of omega-3s--from the dawn of complex life, when these compounds were first formed; to human prehistory, when the discovery of seafood may have produced major cognitive leaps for our species; and on to the modern era, when omega-3s may point the way to a bold new direction for our food system. With wit and boundless curiosity, Greenberg brings us along on his travels--from Peru to Antarctica, from the Canary Islands to the Amalfi Coast--to reveal firsthand the practice and repercussions of our unbalanced way of eating. Paul Greenberg is the author of the James Beard Award-winning Four Fish and American Catch and a regular contributor to The New York Times. His writing has also appeared in The New Yorker, National Geographic, and GQ, among other publications, and he has lectured widely on ocean issues at institutions ranging from Google to Yale to the U.S. Senate. He lives in New York.